The grand and stately Buckingham Palace has been the official London residence of the British monarch since 1837. Although the origins of the palace go back to the 18th Century when the Duke of Buckingham built his townhouse at the site, the palace as it stands today is principally the work of architects John Nash and Edward Blore. The palace holds 775 rooms, each lavishly decorated with fine art by the likes of Rembrandt, Vermeer and Van Dyck, Sevres Porcelain, and rich architectural details in a range of styles. From the cream and gold palette of the Belle Epoque to the intricacies of the Chinese Regency, each room is a showcase of extravagant yet tasteful interior design. The Grand Staircase is perhaps one of the world's finest examples of bronze casting, illuminated by an etched glass dome, and the focal point of the palace, while the forecourt is the setting for one of London's most popular tourist events - the Changing of the Guard. The Royal Mews and the Queen's Gallery are other popular features of this royal residence that are also open to visitors. 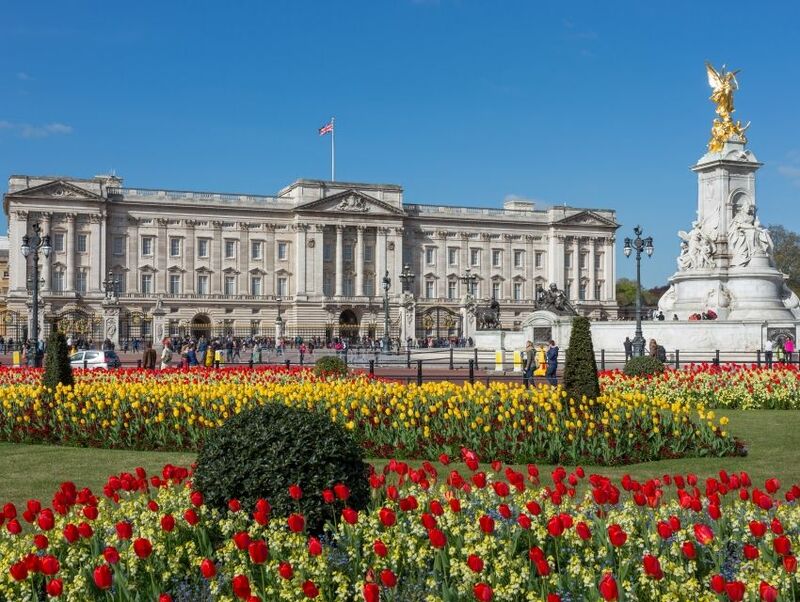 All of this is surrounded by manicured lawns and lush gardens alive with myriad blooms in summer, painting a picture of grandeur befitting Britain's royal family.